Whether you're new to the world of sailing or a Knight of the Realm, Olympic gold medal carrying icon like Sir Ben Ainslie, the sea is a dangerous place so having the best safety equipment strapped to your person is a must when you're out on the waves. With that in mind, and the prestigious America's Cup kicking off today and running through till 11 September, a team of top British designers have pooled their collective brainpower and come up with a new life jacket that's more like a SAS tactical vest. 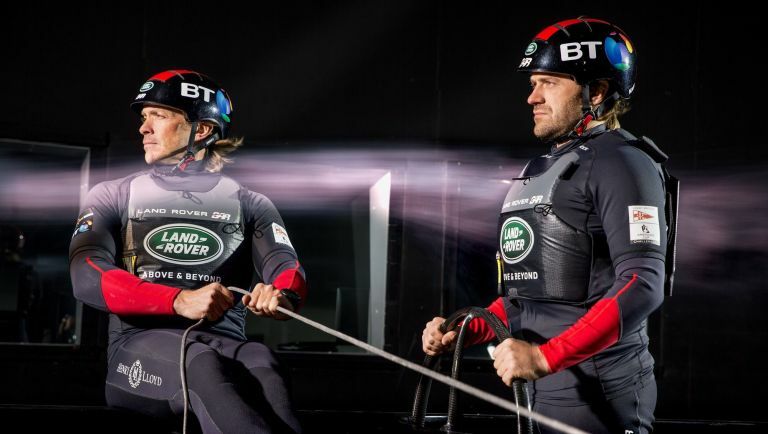 The T2 vest was created in partnership with Land Rover (the sponsor for Ben Ainslie's America's Cup team), marine company Henri Lloyd and Spinlock, an Isle-of-Wight-based firm that specialises in sailing and marine equipment innovation. The vest itself, which has been 18 months in the making, is designed to be as lightweight and flexible as possible, keeping the user afloat while keeping them maneuverable. Capsizing boats and catamarans is also a real and deadly concern for sailors, so the T2 vest has been fitted with a series of features to protect them. It's made of a shock-absorbing armour to help soak up unexpected hits from sails and or powerful waves, and comes fitted with an air cylinder and a knife should the user be stuck beneath their vessel. The whole team is fitted with the new jackets, and we could well be seeing similar designs rolling out across the industry.